Yesterday was a mostly beautiful day. I slept in because I hadn’t had a decent night’s sleep in a few days, so it was nice. I did a walking tour, that I followed from my Lonely Planet guidebook. 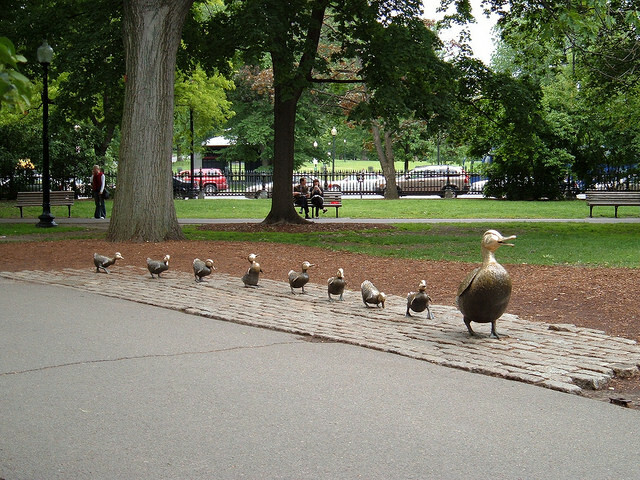 I started in Boston Common and walked most of Beacon Hill, which is an old area with cobblestone streets. I visited the African Meeting House and the Abiel Smith School run by the Museum of African American History, which is dedicated to “preserving, conserving and interpreting the contributions of African Americans”. They were both really interesting. 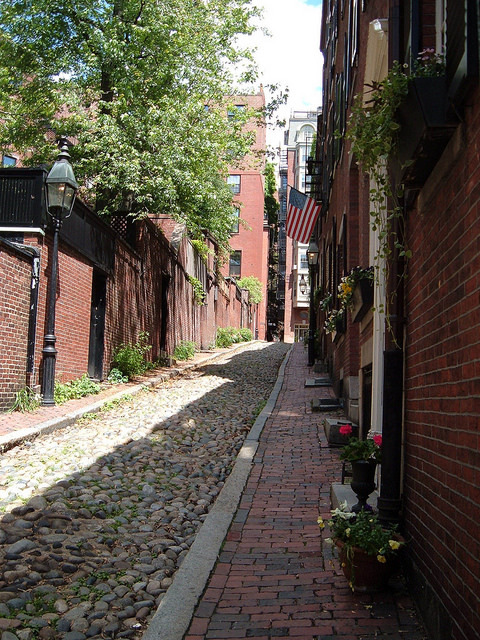 I saw Acorn St, a cobblestone street that is Boston’s narrowest and most photographed street. Then I passed through Holmes Alley, which is a little hard to find, but was designed to be that way. It was used by fugitive slaves, to evade the slave catchers. I then returned to Boston Common, which is a really pretty park adjacent to the Boston Public Garden and just walked around for a while. I met my friend Melody after work and we took the T (the subway) to Harvard and walked around the campus, which is in the style of European universities and is spread out through the city of Cambridge and really could be a small village. It’s very pretty though, and it’s graduation time, so it’s interesting to see the students walking by in their caps and gowns and try to imagine what it would be like to go to an ivy-league school. Melody and I went out for dinner with some friends of hers who had just returned from a trip to Quebec City. The dinner was good and it was fun to sit around with Americans and listen to their ideas and thoughts about Canada. I didn’t do much sightseeing today, I packed for our trip to NYC tonight, reorganized my bags and managed to download some songs on my ipod. Then I dropped off my bag at the library where Melody works and headed off to explore the North End. It’s actually a bit like the Forks in Winnipeg, lots of markets and stuff, including a crazy farmer’s market where they yell at you!